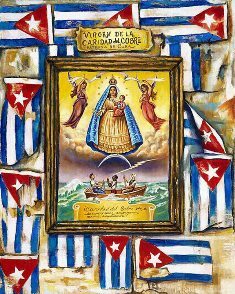 On September 24, 1915, several veterans of Cuba's War of Independence (popularly known as mambises) wrote to Pope Benedict XV, asking him to proclaim the Virgin of Charity of Cobre as the patroness of Cuba. On May 10, 1916, the pope declared the virgin the patroness of Cuba and authorized the canonical coronation of her sacred image. The pope also officially designated September 8 as the patroness' feast day, which was already a popular tradition on the Island. These events helped consolidate the virgin's significance as an icon of Cuban national identity. To commemorate these historical landmarks, the Cuban Research Institute has invited Emilio Cueto to trace the origins and development of the devotion to the Virgin of Charity of Cobre among Cubans on the Island and abroad. 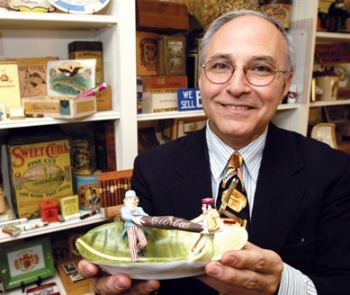 Mr. Cueto is a Cuban attorney, collectionist, and independent scholar. He is the author of several books on Cuban topics, including La Virgen de la Caridad del Cobre en el alma del pueblo cubano (2014), La Cuba pintoresca de Frédéric Mialhe (2010), Illustrating Cuba's Flora and Fauna (2002), Cuba in Old Maps (1999), and Mialhe's Colonial Cuba (1992). He has also published articles in journals such as Cuban Studies, Espacio Laical, Herencia, and Revista de la Biblioteca Nacional José Martí, and newspapers such as Diario Las Américas and El Nuevo Herald. He organized six concerts of the Classically Cuban series at FIU between 2008 and 2013. He was one of the recipients of a 2013 travel grant to study the Díaz-Ayala Collection of Cuban and Latin American Popular Music at FIU. This event, to be conducted in Spanish, is free and open to the public. It is cosponsored by Familia Mambisa (Descendientes de Mambises). For more information and to confirm your attendance, please call (305) 348–1991 or write cri@fiu.edu.